From seasonal collections to commercial projects. Like the wood that so inspires us, the Forest to Home team has grown organically from handcrafting singular pieces of live edge furniture to working up designs that can meet any individual, residential or commercial brief. Yet our reason for being remains the same. To produce contemporary collections in collaboration with nature. Rejecting the modern trend for wasting wood with perceived imperfections; recognising the beauty in each piece’s story. From ancient woodlands to modern interiors. 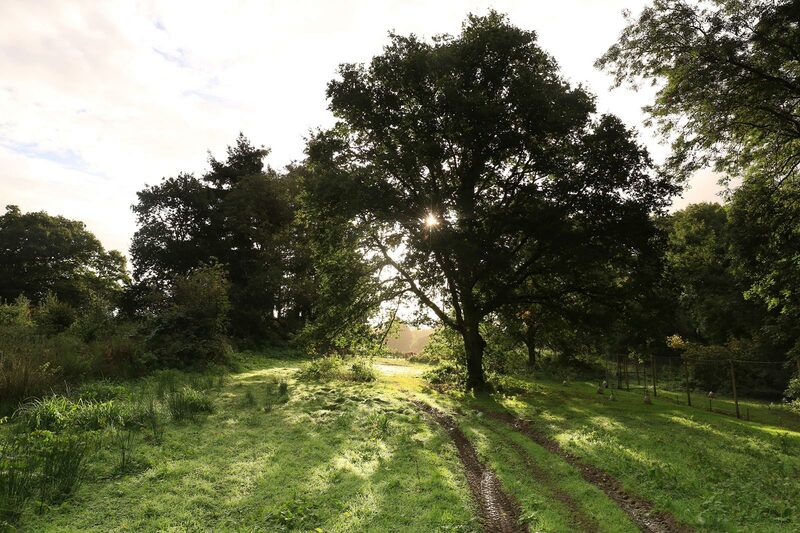 Our wood is ethically sourced from forests in the UK and beyond. We only select pieces that enable us to create modern designs with a clear conscience. Through preserving the natural character of the raw wood, we celebrate the unique attributes of each timber slab – enhancing the splits and knots that speak of decades in the wild. 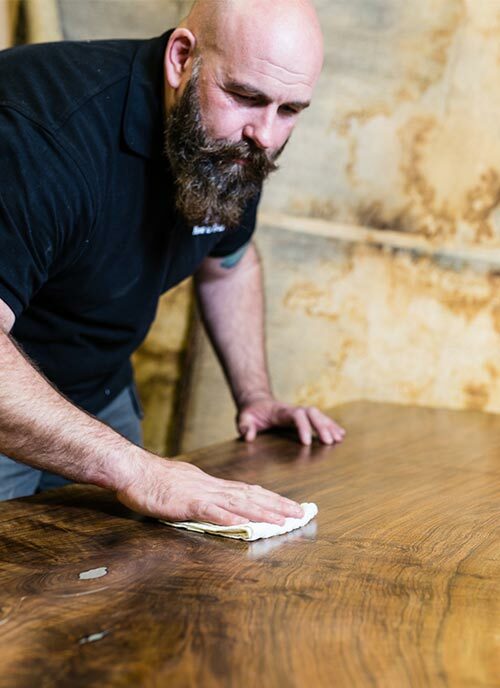 Indebted to the materials we use, we’re proud to apply over 20 years of handcrafting experience to shaping furniture, home accessories and interiors that will endure. We believe that every organisation working within the timber industry should, as an absolute minimum, source their wood responsibly. At Forest to Home we want to take this responsibility one step further. We care deeply about our British forests and respect how important they are to our eco-system, the people and the economy. We want to ensure that we give back more than we take and give our customers peace of mind that we are accountable for the impact our business has on the environment. We are therefore excited to announce the launch of our Forest Preservation Project. We will only ever purchase wood from British, well managed, sustainable or independent sources. There are already a number of fantastic organisations in Britain that promote tree planting. The Forest Preservation Project will begin by supporting and promoting some of these organisations and over time we will develop our own saplings ready for planting and will encourage other organisations to work with us in giving something back to the environment. 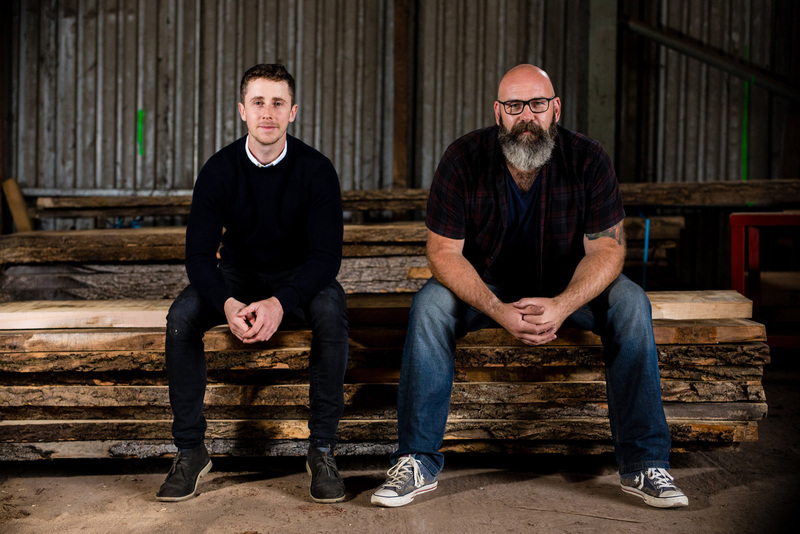 Organisations such as Grown in Britain, the Forest Stewardship Council (FSC) and The Programme for the Endorsement of Forest Certification (PEFC) are working towards creating a sustainable timber industry, both in Britain and beyond. We want to work with Suppliers and Forests licensed or certified by either of these organisations. It may seem counter intuitive but responsible timber sourcing methods can actually be beneficial to the Forest. Selective felling practices, and the felling of mature trees, creates free space for new carbon absorbing saplings to flourish. Extremely proud to have won the Bath Life awards, in the Homes & Interiors category, and a ‘best of Houzz’ award for customer service!